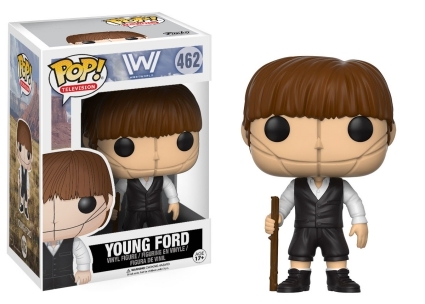 Every hero has a code and, with the Funko Pop Westworld debut, every figure has a style. The vinyl release offers several options for guests and hosts alike. Those familiar with Michael Crichton's 1973 film, Westworld, had a vague idea of what to expect, however, viewers who tuned to HBO for the premiere of the sci-fi western were still in for a treat. The series follows the amusement park's workers or "hosts" and those that visit for various indulgences. 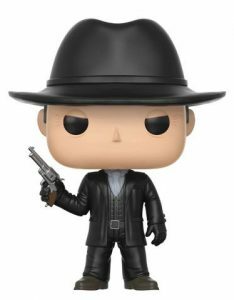 With an eclectic cast of characters, Funko Pop Westworld is sure to have an option for every fan of the show. 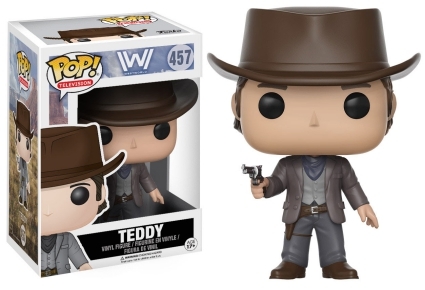 Order Pop Westworld Figures on Entertainment Earth. 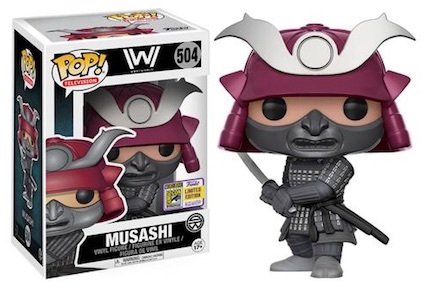 Included in the Pop! 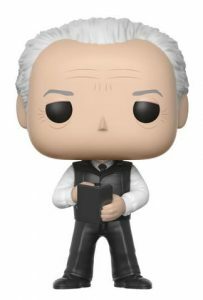 Television line, Dr. Robert Ford (Anthony Hopkins), the man behind the Westworld park, leads the lineup with his white-haired figure impeccably portraying his human counterpart. Legs slightly apart and holding a book, the mysterious co-founder is wearing a white dress shirt under the western-style black vest with matching slacks and loafers. 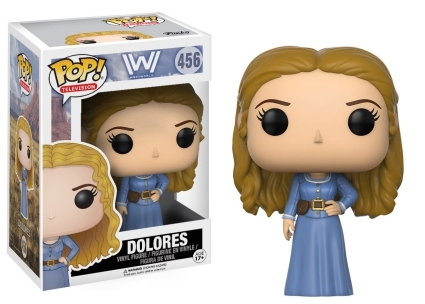 Dolores is dressed in a dull blue shirt and matching skirt accented with a dark brown and brass belt. 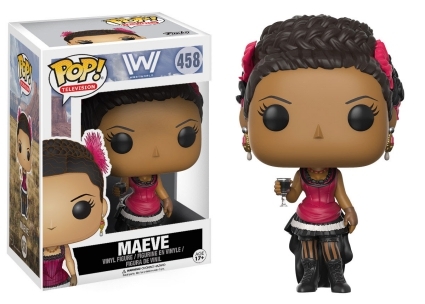 In contrast, Maeve wears a hot pink corset, black lace miniskirt, and pearl earrings, with a drink in hand. 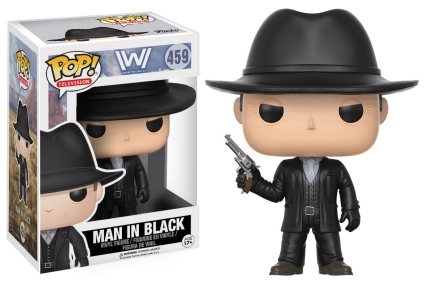 Each standing just under 4" tall, Funko Pop Westworld also includes the Man in Black, wielding a pistol and naturally dressed in all black except for a silver shirt and tie. Young Ford, whose face is heavily scarred, is joined by the quintessential cowboy, Teddy. 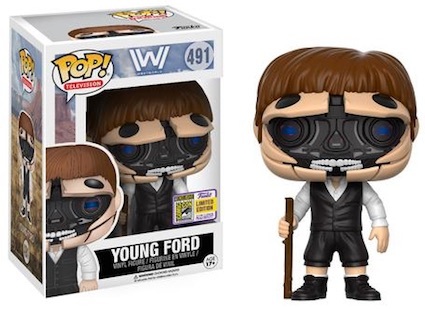 There is also a 2017 San Diego Comic-Con exclusive for Young Ford "unmasked" revealing it is actually the robotic Dr. Ford host. 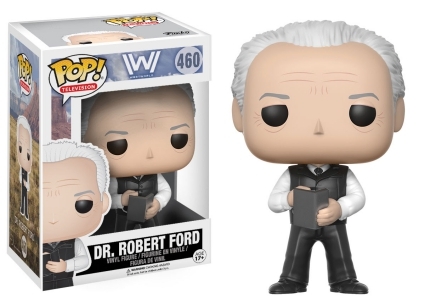 Westworld fans and collectors can find Ford's partner, Bernard, peering over his brown-framed glasses with a scowl look. 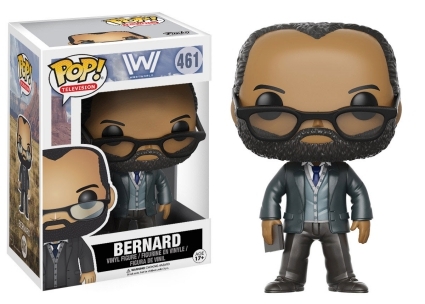 Funko literally broke the mold with Bernard, because the vinyl figure appears to be an EXACT replica of not only the character but actor Jeffrey Wright, as well. 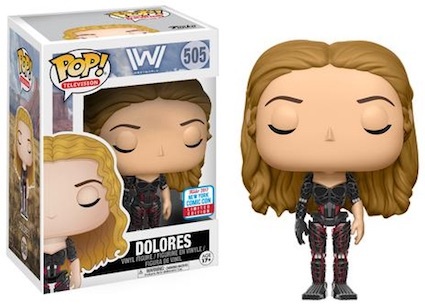 FUNKO POP DOLORES HBO WESTWORLD NEW YORK COMIC CON New York Comic Con #505.